Just down I-5, Tenino makes for a quintessential, budget-friendly small-town Northwest getaway, with bacon whiskey, wine tasting, bottomless cups of coffee, a free community bike-share, and a dose of local history. Zanzibar it’s not, but Washington State’s very own Stone Town rocks with a relaxed vibe sure to appeal to Seattleites tired of the summer tourist crowds. Just head south on Interstate-5 past Olympia to find Tenino, a tiny town in rural Thurston County, once the sandstone capital of the West. Built up after sandstone deposits were discovered in the late 1800s, Tenino thrived as builders across the country looked for stronger construction materials following fires in Seattle and San Francisco. Pictures of John Wayne decorate the walls of the Sandstone Cafe, where waiters serve $10 breakfast entrees and bottomless cups of coffee. Sip bacon whiskey at the Sandstone Distillery. 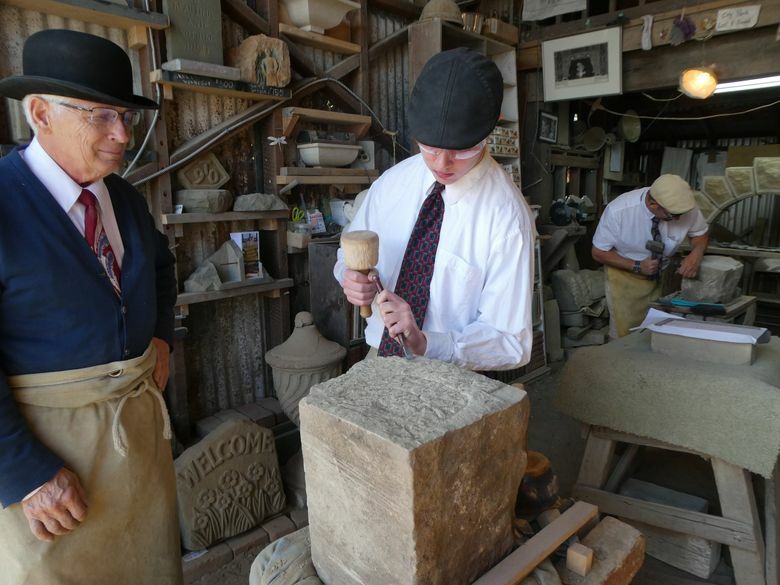 Visit a group of stone carvers chiseling with hand tools in an old grain-storage shed. Grab a free bike, and take a spin around town to spot historic stone buildings. Get out of town early (even though it’s the weekend, traffic can be heavy either direction on I-5), and join the locals for breakfast at the Sandstone Cafe. Go healthy with a breakfast salad (mushrooms, green peppers, onion and wilted spinach topped with feta and eggs) or splurge on the “Chunky Monkey” waffle, with bananas drizzled in peanut butter, maple sauce, whipped cream and bacon crumbles. 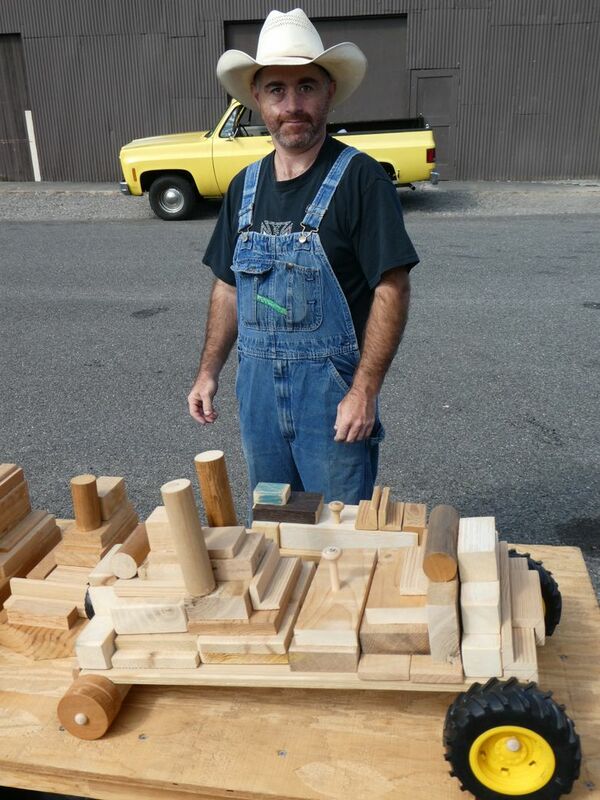 Pick up a Tenino Sandstone Walking tour brochure at the Chamber of Commerce desk across from the cafe, and find The Shed, a workshop where master stone carver Keith Phillips, 71, and his protégés create one-of-a-kind works from sandstone mined from the last remaining local quarry. 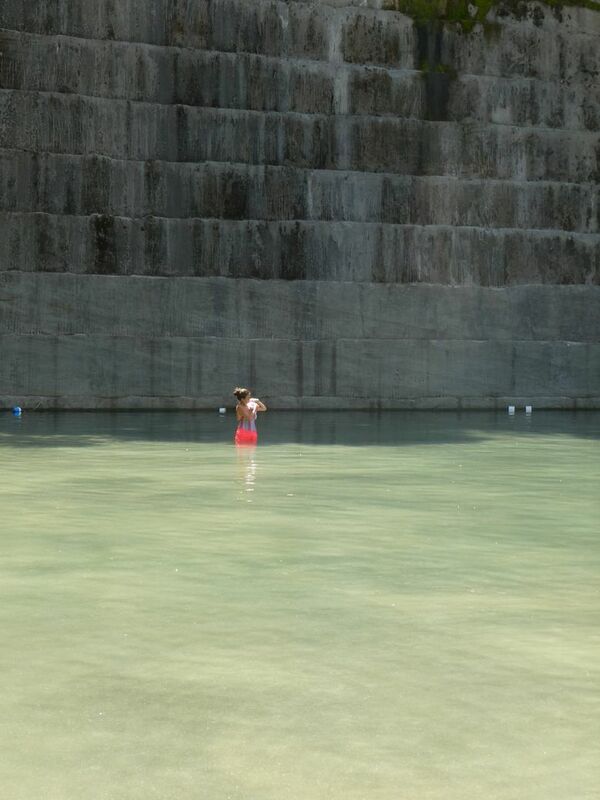 (Of three — one is now a swimming pool and the other is gone.) The carvers wear hats, ties and long aprons, just as they did long ago, and use hand tools to fashion decorative stone pieces. The walking tour map points out various sculptures around town created by Phillips, a carver for 34 years, including a sandstone book in front of the library, a bag of groceries at the supermarket and a mortar and pestle in front of the pharmacy. A bountiful Thurston County agricultural area surrounds Tenino. 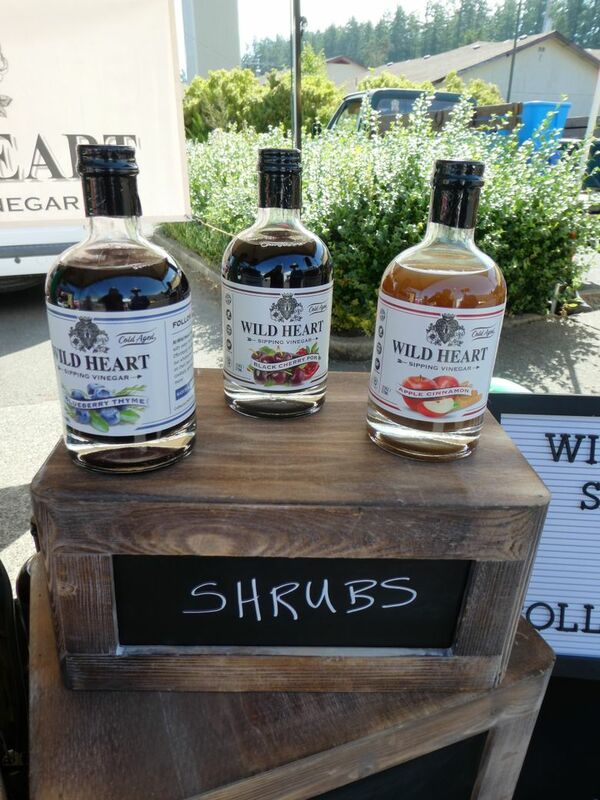 Shop for local produce and crafts at the Tenino Farmers Market, Saturdays through September from 10 a.m.- 3 p.m. Find wooden toys, walking sticks and kitchen utensils made by Josh Wagner and his grandfather, Hap Newman, and sipping vinegars (shrubs) in flavors like blueberry-thyme and pear cardamon rosemary, crafted by Jenni Bourdon, whose family owns the Sandstone Distillery. Antique and second-hand shops line Sussex Avenue. Stop by Joyce Worrell’s Iron Works Boutique for vintage fashions, antiques and garden kitsch along with keys to free yellow bikes. Tenino was way ahead of big-city bike share programs when a community group started the Yellow Bike project in 2001. All you need is a valid ID to borrow a bike for a few hours to tour the town, or ride part of the paved Yelm-Tenino rail trail. Visit the Tenino Depot Museum, a sandstone building that looks much as it did in 1914, when it was the Northern Pacific railway depot for trains running between Seattle and Portland. While the quarries, railroad and logging drove the economy of Tenino in the early 1900s, once concrete came along, the town’s fortunes waned. The Great Depression put Tenino on the map when the chamber of commerce began issuing wooden money printed on thin slices of spruce and cedar following a bank failure in 1931. 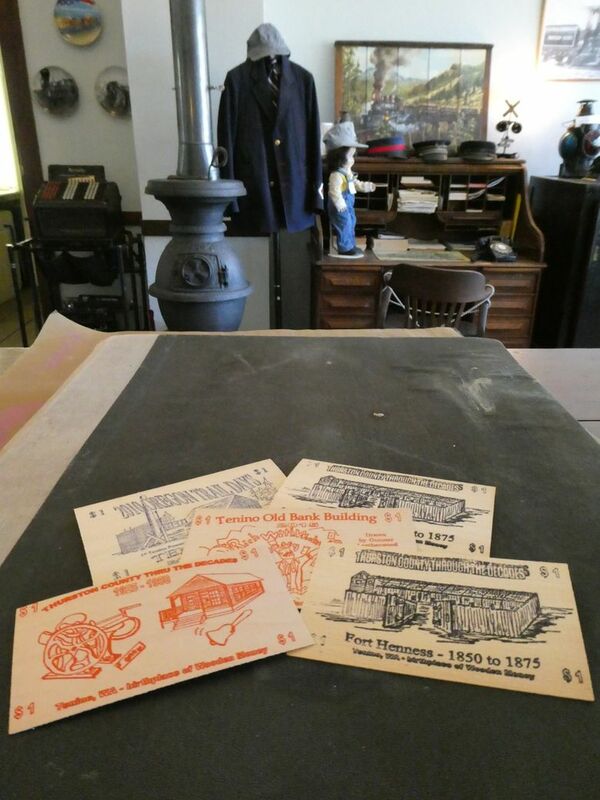 The museum uses the same printing press from the 1930s to print souvenir $1 wooden bills. Buy a few, and try using the scrip around town. Many local businesses still honor it for purchases. Time to head out of town and onto the rural backroads. 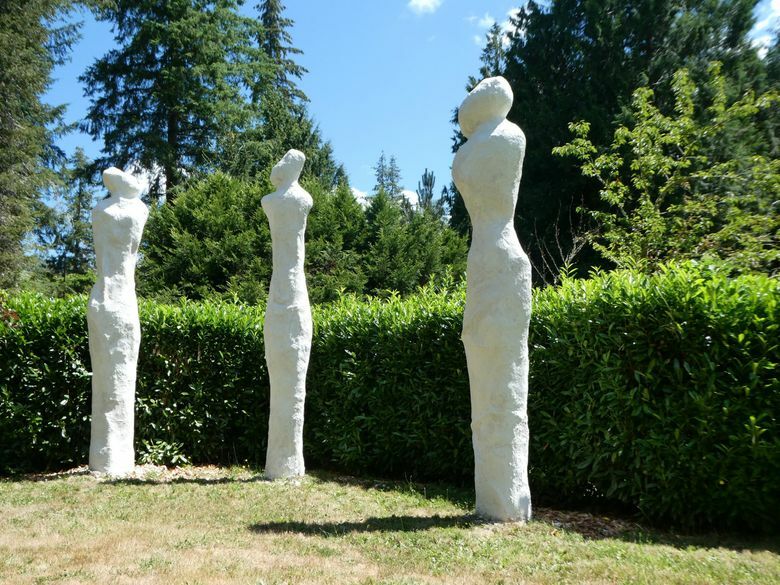 Plan an hour or longer to explore the peaceful Monarch Contemporary Art and Sculpture Park, a non-profit project begun in the 1990s by local artist Myrna Orsini and Doris Coonrod, a retired federal judge. The site reopened recently as a five-acre park. Admission is free and open to the public. Park nearby, then walk or bike in on the Chehalis Western trail. Take a leisurely stroll past more than 100 modern sculptures made from granite, wood, steel and other materials. Some pieces, like a giant croquet set with brightly colored balls the size of boulders, are immediately visible, while others are hidden among the trees. Circling back toward Tenino, find the Sandstone Distillery and tasting room. Distiller John Bourdon and his son, Justin, use Washington-grown grains to make spirits including a Stone Carver black gin, infused with star anise; a bacon whiskey flavored from pigs fed Sandstone’s spent grain; and an apple whiskey made with a neighbor’s fruit. Tours and tastings are $5. 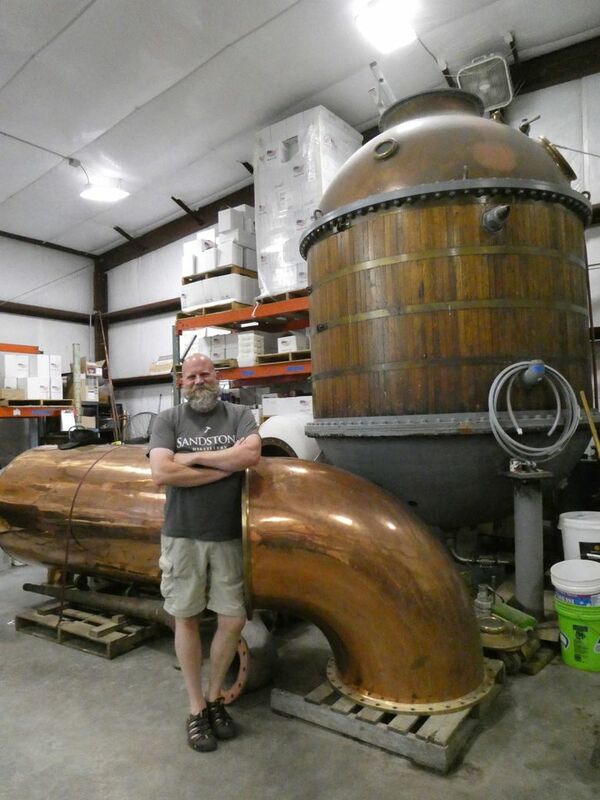 Expected to be up-and-running soon is a huge copper-and-oak still purchased from a Chehalis mint factory. Scatter Creek Winery and Brewing on Sussex Avenue offers a cozy place to sip and socialize in the afternoon and evenings. Drop in for a glass of Sandstone White, aged with Elderberry flowers, or a pint of Screamin’ Rails IPA . Tucked into a residential neighborhood three miles out of town is the Mill Lane Winery, with a shady patio and tasting room illuminated by twinkle lights. Bring your sweet tooth. Proprietors Dan and Deana Ferris specialize in wines made with Washington state fruit. Deana comes up with the ideas, and Dan makes the wine. There’s blackberry truffle blended with dark chocolate and vanilla; pear wine made with fruit grown in Chehalis; and a sparkling rose made from French grapes enhanced with strawberries and lime. This post was updated August 24 at 9:28 a.m. to correct the name of John Bourdon’s son. He is Justin, not Jason. Getting there: Tenino is 75 miles south of Seattle via Interstate 5. Count on about 1.5 hours of driving time. Sandstone Distillery: 842 Wright Rd. SE, www.sandstonedistillery.com, open Thursday, Friday, Saturday (Sundays by appointment) and Monday noon to 5 p.m.
Mill Lane Winery: 16607 Bucoda Highway SE. See milllanewinery.com, open daily 11 a.m.-6 p.m.